Two of the most commonly searched for skin terms are ‘sun damage skin’ and ‘Fraxel®’. In fact, brand awareness of Fraxel® is so strong that we have people regularly trying to book straight in for one! Fraxel® is a fractionated laser that works by putting pinpricks of heat into the skin. This creates an injury below the surface that stimulates a repair and renewal process. The damaged cells are bought to the surface and shed, and new collagen and hyaluronic acid are generated. Are fractionated lasers better for you? 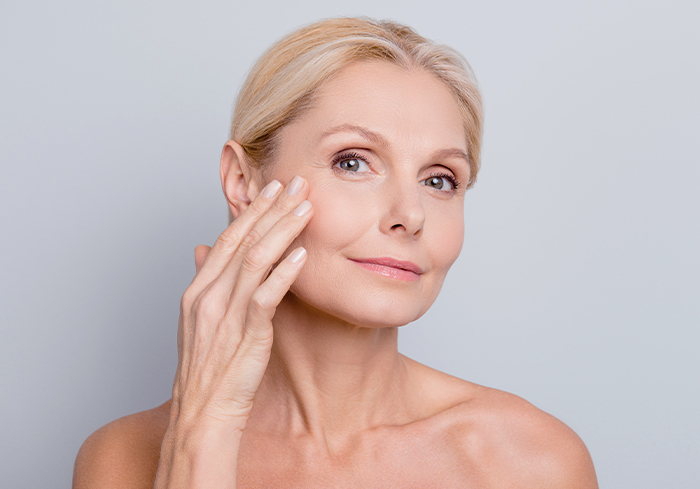 With fractionated lasers you can have a significant treatment with a ‘fraction’ of the recovery time that you would have with traditional ablative lasers, which can be anything from six weeks to six months. With Fraxel®, it is four to seven days of ‘social’ downtime, meaning you are perfectly able to go about your daily activities, but your skin is noticeably redder and drier for that time. Makeup is fine to use as well. Who can benefit from a Fraxel®? Fraxel® significantly improves the quality and overall health of skin so anyone who has prematurely aged their skin with too much sun exposure will benefit enormously from treatment. Not only will their skin be stronger and more hydrated, wrinkles will be softened and pigmentation reduced. The overall effect is a noticeably younger complexion. A common question! We use a strong topical analgesia and so the sensation is hot pinpricks on the skin – not comfortable, but certainly tolerable. We have never had a client who cannot go through with the treatment. What will you experience post treatment? This is an important question, as it is crucial you know what to expect. You will have a healing phase of seven days, of which the first three to four are the most obvious. You are extremely red post procedure, with a sunburnt feeling. Mild swelling starts post procedure and is at its peak the morning after, lasting a day or so. The skin will feel rough for up to a week. This is actually a really positive thing as it is all the dead and damaged cells shedding off, leaving fresh, vibrant, healthy skin. There are relatively few side effects associated with Fraxel®, compared with other light technologies such as laser, and the results, in experienced hands, are very predictable. Bleeding, bruising and blistering are extremely rare. However, if performed on an unsuitable client, post inflammatory pigmentation can occur post procedure, sometimes months later. It is crucial to have skin imaging prior to the procedure to assess suitability. At Artisan, we always err on the side of caution and have often said no to clients who we believe aren’t suitable or could be at risk of complications. It depends on the extent of damage and that’s part of the reason you need a consultation. We have clients who have had three treatments, six weeks apart and others that just do a treatment once a year. We will advise you. This is a ‘get your money’s worth’ treatment. The results are obvious– totally refreshed skin. What more could you want? Book a consultation with our masters today to learn more about Fraxel® and how we can help you master the artistry of you™.